Do you even consider what truncation might do to your email subject lines? I don’t know about you, but I’ll take whatever the choice is because I don’t want to win a baby. When you’re testing emails, give some thought to the crazy and unfortunate ways they might get truncated by email clients, will you? We’ve all seen the business analyst or sales assistant job posting email and snickered. Don’t let us snicker at you. So I’m coming back from an errand early one morning, and I turn onto the farm road where I live. I live out in the country, you see, and the farm road is a long, straight road that rolls over hills and creeks between fences, woods, and pastures. As I’m driving down the farm road, I think to myself, Although it’s technically day time, on cloudy days, deer are often active later than normal. I remember a particular stretch of the road just before the creek, where a cow pasture faces woods and where I’ve seen deer before. Then, as the relative elevation of the road changes in relation to the pasture, I see a single deer in the middle of the pasture against the backdrop of the hills beyond, and I slow my truck to ten miles an hour. Where are your buddies? I ask him, because does and fawns travel together in family groups. Two deer dart across the road, and two others turn from the fence they were about to hop and retreat into the pasture. If I’d been traveling normal speed, I very well might have hit one of them. I know the general behavior of deer; I know the lay of the land and the geography of deer crossings; and I just might have seen the deer in my peripheral vision, outside my focus but enough to trigger additional caution until I did see it consciously. That’s how I knew the deer were there. And that’s how I found that bug. I know the general behavior of computers, applications, and interfaces; I know something of the domain or problem this program is trying to solve; and I have wide peripheral vision when testing, the ability to see things wrong in the corner of my eye and retry my actions with focus on the problem area. How Much Of It Would QA Chew If QA Would Chew It? Never mind searching for it on Amazon.com. It’s futile. Also, it’s not available. 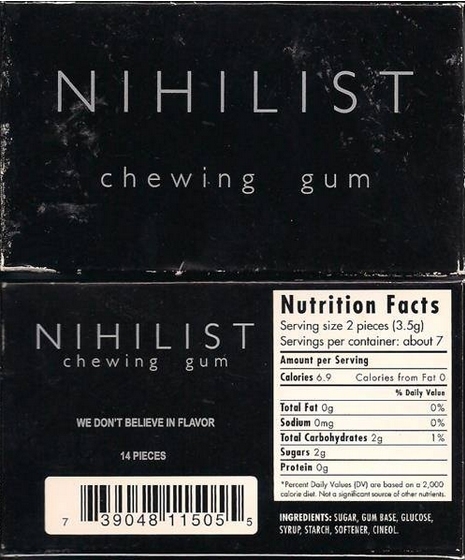 Posted in Miscellany | Comments Off on How Much Of It Would QA Chew If QA Would Chew It? A failed data integration is going to cost St. Louis area residents up to hundreds of dollars. Or require a refund. No, that extra few hundred dollars on your monthly sewer bill isn’t a typo. 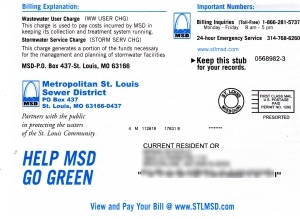 A bill miscalculation that began nearly two years ago has the Metropolitan St. Louis Sewer District asking thousands of customers in St. Louis County to pay for services that never showed up on bills. The average undercharge for an affected household: $450. Nearly 1,900 residential customers and 3,700 commercial customers are being asked to pay more on their current sewer bill, which should be in mailboxes by the week of April 6 at the latest. The discrepancy began in May 2013, when Missouri American Water, which provides water service in much of the St. Louis County portion of MSD’s territory, changed its billing system. MSD buys water meter data from Missouri American in order to calculate many customer rates, but the new system’s data wasn’t properly computing with MSD’s billing programs, district spokesman Lance LeComb said. “Ultimately MSD is responsible for getting the data right and making sure we have correct account information and send out correct bills,” he said. “Missouri American Water was very supportive of our efforts and provided additional staff” to fix the problem. Dependency upon an integration, and something at the data provider changed. Expensively. Given their track record, I can understand anyone’s reluctance to allow MSD’s computer systems access to a customer bank account or credit card. You’re going to listen to or watch all twelve minutes. It has been said that your first Doctor is your favorite. This is not true in my case; my first Doctor was Tom Baker, but my favorite is Colin Baker. And no, I haven’t seen the new ones with Tobey Maguire and Ed Norton as the Doctor. You are currently browsing the QA Hates You weblog archives for March, 2015.